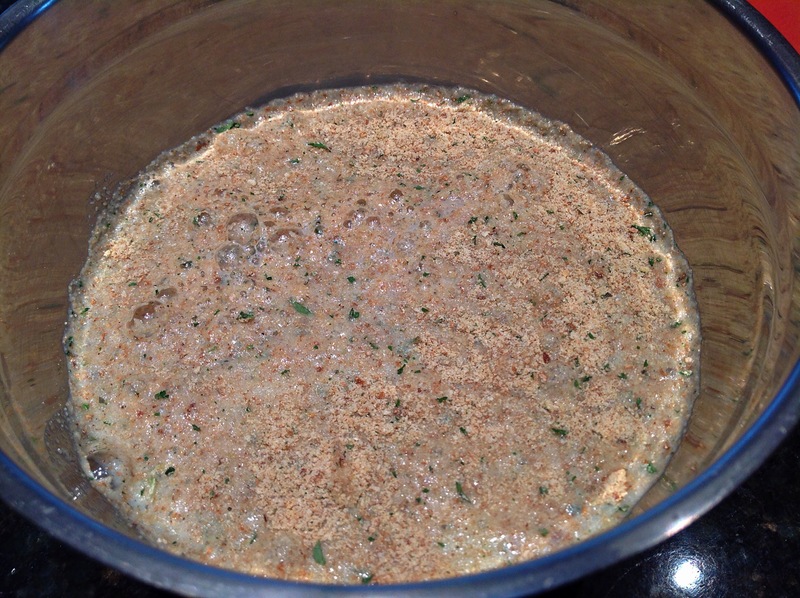 Combine the milk and breadcrumbs: Pour the milk over the breadcrumbs in a small bowl and set aside while preparing the rest of the meatball mix. The breadcrumbs will absorb the milk and become soggy. 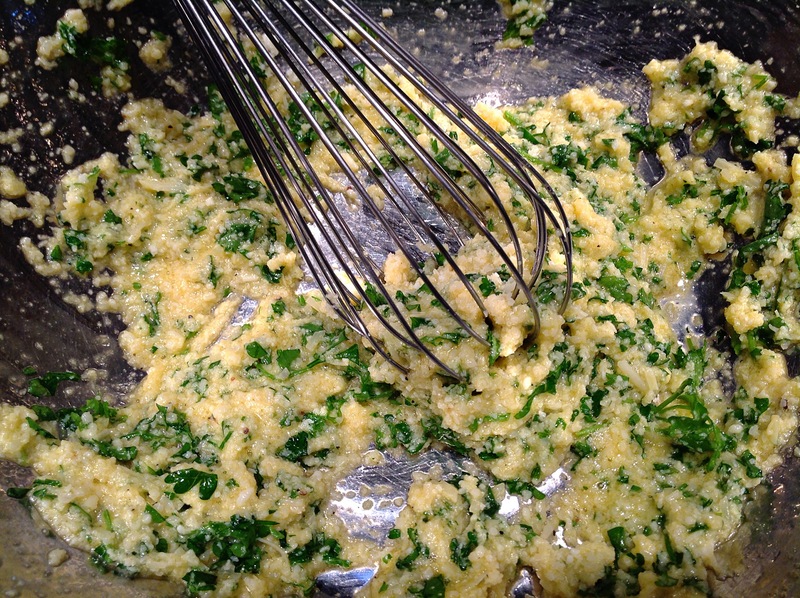 Whisk the egg, salt, pepper, Parmesan, and parsley: Whisk the egg in a large bowl until blended. Whisk in the salt and a generous quantity of black pepper, then whisk in the Parmesan and parsley. 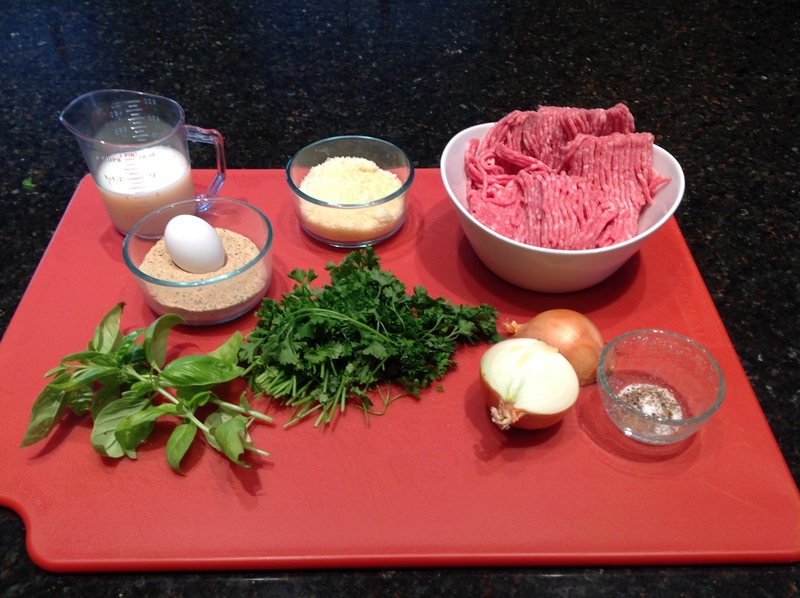 Combine the egg and ground meat: Add the meat to the egg mixture. Use your hands to thoroughly mix the egg into the ground meat. Add the onions and soaked breadcrumbs: Add the onions, garlic, and soaked breadcrumbs to the meat. Mix them thoroughly into the meat with your fingers. Try not to overwork the meat; pinch the meat between your fingers rather than kneading it. 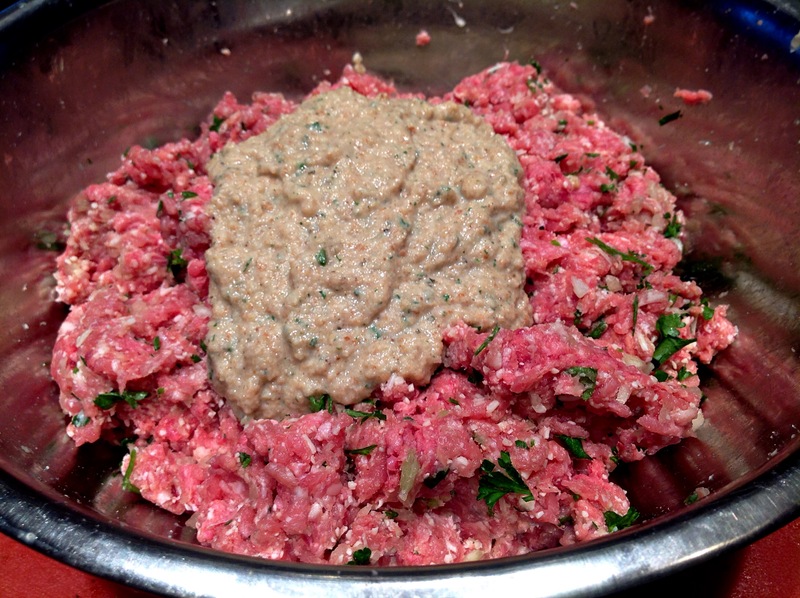 Form the meat into meat balls: Pinch off a piece of the meat mixture and gently roll between your hands to form 1 1/2-inch meatballs. Continue shaping until all the meat is used. To roast the meatballs in the oven: Arrange the meatballs spaced slightly apart on a baking sheet. Cook under the broiler for 20 to 25 minutes or bake at 400°F for 25 to 30 minutes. (Watch closely if cooking meatballs made with lean meat.) The meatballs are done when cooked through and the outsides are browned, and when they register 165°F in the middle on an instant read thermometer. Serve immediately. To cook the meatballs in sauce: Bring a marinara sauce or other pasta sauce to a simmer and add as many meatballs as will fit comfortably in the pan. Cover and simmer for 30 to 35 minutes. The meatballs are done when they’re cooked through and register 165°F in the middle on an instant read thermometer. Serve immediately. Doubling this recipe: This recipe can be doubled for larger crowds. Storing Leftover Meatballs: Store leftover meatballs, either on their own or in a sauce, in a covered container in the refrigerator for up to 1 week. Reheat over low heat in a saucepan or in the microwave. 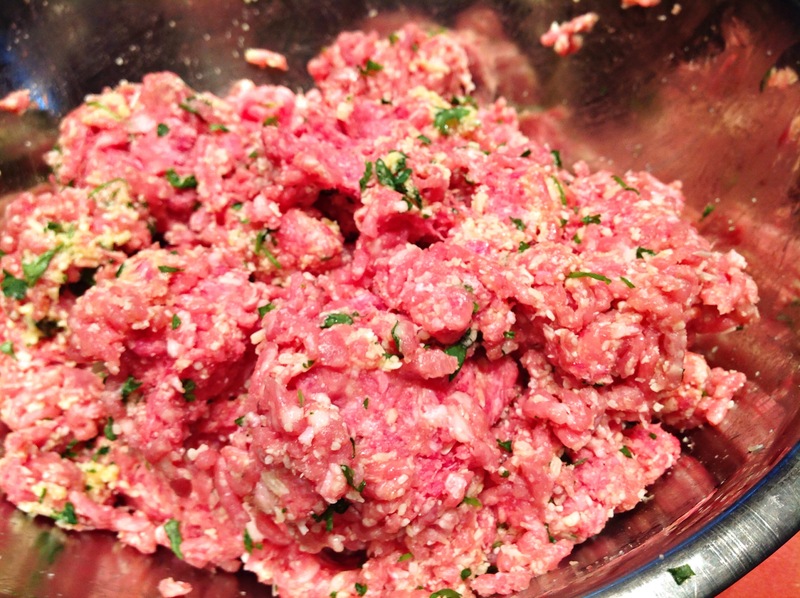 Make-Ahead Meatballs: Meatballs can be shaped and kept refrigerated up to a day ahead. Arrange them in a casserole dish or on a baking sheet, but don’t squish together. Cover and refrigerate for up to 1 day. 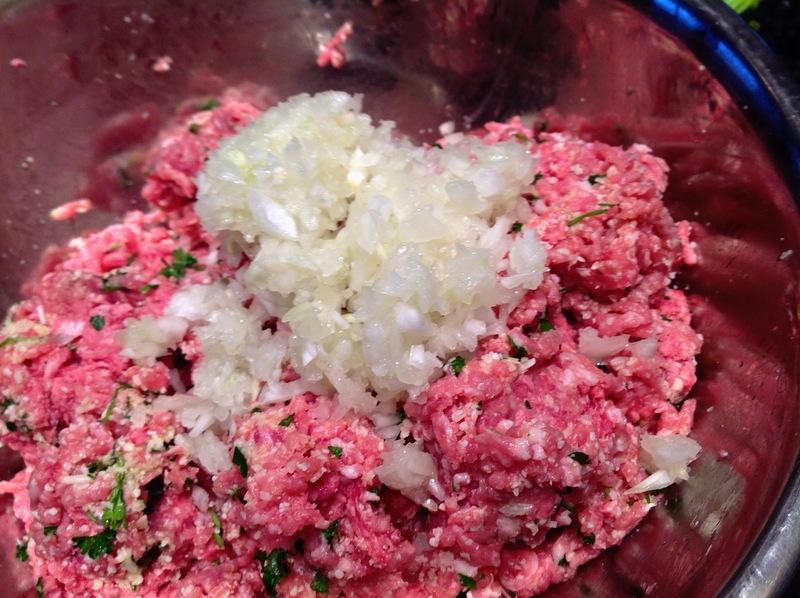 Freezing Uncooked Meatballs: Prepare the meatballs through the shaping step. Arrange them spaced slightly apart on a parchment-lined baking sheet and freeze until solid. Transfer the meatballs to a freezer container or freezer bag, and freeze for up to 1 month. (Meatballs can be frozen for longer, but tend to develop freezer burn.) Thaw meatballs in the refrigerator overnight before cooking. 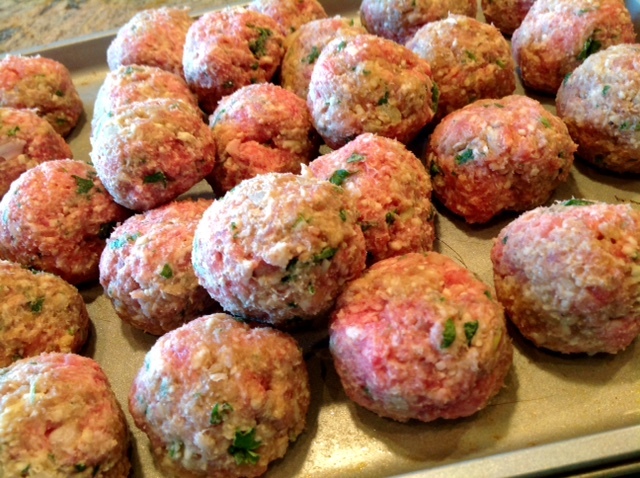 Freezing Cooked Meatballs: Let the cooked meatballs cool completely, then transfer to a freezer container or bag. Freeze for up to 2 months. Frozen meatballs can be thawed overnight or reheated directly from the freezer. Reheat meatballs in a simmering sauce for 10 to 15 minutes or in a warm oven for 10 to 15 minutes.